Ruby Fortune casino is an online gambling establishment that was created in 2003. The online gaming site is a member of the Palace Group which is the mother company to about nine other casinos which include the Spin Palace Casino, Lucky Nuggets Casino, and the Riverbelle Casino among others. Ruby Fortune has been around for 14 years, and we are about to find out why it has continued to thrive more than a decade since it was established to a point that the casino got awarded for the Best new Casino of the year just the second year into its establishment. Ruby Fortune online casino is a legal entity following its licensing by the Gaming Authority of Malta which is known for its strict rules as far as offering licenses is involved. Ruby Fortune is known for the four rules the establishment swears to operate by. These four rules are that their casino should be fair, easy, safe, and fun. The establishment works on the principle that their clients should be treated fairly, that the casino should be easy to access and maneuver, that the clients’ information and money should be safe, and that the clients should have fun every time they log on to play. These principles have seen the casino thrive even as many others come and fail. This establishment oozes fun with its pink-red theme, the color of the ruby precious stone. The house has superior graphics which are both sharp and crisp making the gaming experience therein one to look forward to. The gaming den is home to over 500 games leaving you with so much to choose from. The controls of the casino are easy to adjust. It was also created with a wide range of player preferences making is suitable for all types of punters available; whether they are high rollers or those with a small budget. Ruby Fortune has managed to spread its territories to far and wide being accepted in over 100 countries. The site is accepted in the UK and many European countries. It is, however, banned in the US making it inaccessible to American players. Still, the establishment is available in several languages which include English, Finnish, Polish, Czech, Norwegian, German, Danish, Dutch, Japanese, Portuguese, French, Swedish, Italian, Latvian, Greek, Chinese, Bulgarian, and Spanish. Slots. The gambling site is home to classic 3 reel slots, fruit machines, and modern 5-reel slots. These slots come with variant possible ways of winning and paylines. Some of the popular names in this category include Lucky Little Gods, Holly Jolly Penguins, The Phantom of the Opera, Wacky Panda, Gnome Wood among others. Table games. These come as roulette, baccarat, blackjack among others. Roulette comes in European, French, and multi-wheel variants. There is a live dealer version of this table game as well. Blackjack comes in about 30 different variations which include the European, Classic, Atlantic City, Hi-lo, Vegas Strip, and live Blackjack gaming. Baccarat which includes the Live Baccarat Multiplayer, Baccarat Gold Series, Live Baccarat among others. Video Poker. These include Jacks or Better, Deuces & Jokers, Double Double Bonus Pokers, and many others. Progressive Jackpot. Ruby Fortune is home to some of the big progressive jackpots there is. The casino hosts Mega Moolah, Mega Moolah Isis, Major Millions Progressives, among others whose jackpots are over 5 million in worth. Others which include Craps, Red Dog, Hold’em High, Keno, and Scratchcards. All the games on Ruby Fortune are courtesy of Microgaming Gaming software providers. Microgaming is a leading developer in the online world known for its efficiency and reliability. It is also the one with the largest gaming portfolio in the market. The Microgaming software is constantly updated whenever the developers come up with better ways of making the games more fun, and more efficient which leaves the casino up to date all through. The Ruby Fortune casino software can be accessed directly on the web browser through its instant play option. All you need in order to access the site is a good internet connection. For people who do not enjoy a regular and fast connection, the house has a download version of its site. All the player requires is sufficient space in their device, and they are good to go. The download version, however, requires regular updating whenever the software provider does an upgrade of the site and the games. Ruby Fortune works great with all PC operating systems whether they are Windows, Mac, iOS, and Linux. The casino has also adopted modern technology and incorporated the live gaming option for its table games. Now, punters playing on Ruby Fortune can get an experience akin to being in a land-based casino. The live gaming option lets you interact with the dealer, and nothing in the game is predetermined. Live gaming gives you an all real experience without the noise, smoke, and need to leave the comfort of your space to visit a physical establishment. This casino is available on handheld devices like tablets and phones. The casino has been programmed to work optimally in all operating systems whether Android, iOS, Blackberry, or Windows. The games can be accessed either directly through the devices’ browser, or the player can download the apps for the game. Whichever option you settle on, the appearance and speeds of the games are the same, so you will experience just as much fun. With the myriad of online casinos coming up, the establishments have come up with reward strategies to incentivize players to sign up with the various casinos. Ruby Fortune has not been left behind. The establishment prides itself on offering some of the biggest bonuses in the market. The establishment offers incentives and rewards to both its veteran players and new sign-ups. The bonuses are as follows. Welcome Bonus. The casino offers 100% match bonus for deposits of amounts up to $/€/AU$150. The wagering requirement in order to take advantage of this bonus is 50xB. The minimum amount that you must deposit to be eligible for this bonus is $/€/AU$20. Second Deposit. The second deposit you make receives a 50% bonus for amounts up to $/€/AU$200. The wagering requirement for the second deposit is also 50xB with a minimum deposit of $/€/AU$20. Third deposit receives a bonus of 25% for amounts up to $/€/AU$400. The Wagering requirement is 50xB. Important to note is that the wagering requirements for Romania are different, and while the bonuses remain the same, the wagering requirement increases to 100xB. The wagering requirements for this casino are quite high compared to other casinos. The welcome bonuses are also available for only the first 7 days from the time of sign up and first deposit. The bonuses cannot be used together with another bonus. You will be required to exhaust one bonus before you can be allowed to access another one. Ruby Fortune Casino offers other promotional incentives throughout. These work great for veteran players. To be able to access these incentives, the player has to play using real money. If you are new to gambling, it is wise to start with the free casino option so as to master the games. This makes it easier to navigate through the games once you are ready to play with real money. The gambling den has a loyalty program that every person who joins the casino is enrolled into. The loyalty program has 6 tiers, and the lowest is joined with 500 points. The 500 points are offered immediately a player makes their first deposit. Every time you play, points are added and you eventually move from one tier to the next one. Slots and the roulette award players with more points compared to other games available at the casino. Being a member of the different tiers comes with its benefits which include bonuses awarded per month, access to exclusive tournaments, access to exclusive competitions, trips, exclusive gifts, access to worldwide sporting events, a manager, among other benefits. The benefits increase your points and move up the tiers. The VIP program is available for members of tiers Platinum, Diamond, and Prive, which are the three topmost tiers. Being a member of the VIP program gives you the benefits of faster withdrawals, exclusive tournaments, as well as access to exclusive events. Casino ruby Fortune has put measures in place to ensure that information belonging to the players is protected from hackers. The gaming establishment is protected by encryption codes that ensure no malware will hack into the sensitive information belonging to clients. At the bottom of the casino is a seal by eCorga. eCorga is a third party entity that carries out audits of casinos regularly to ensure that the casino is fair and provable. The seal leads to a site where players can check out the casino’s audits if in doubt. Besides eCorga, the casino is also audited by GamCare. 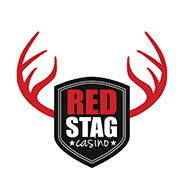 The casino has partnered with various banking entities to ensure that players have many options at their disposal which makes it easier for them to transact with the casino. The gaming site has partnered with the following institutions. You can deposit to the casino with your Mastercard, Visa, Visa Electron, Paysafecard, EcoPayz, EcoCard, Instant Banking, PayPal, Skrill, Direct Fund transfers, eCheck, Neteller, and iDebt. You can access your money through the following methods; EcoPayz, Maestro, EcoCard MasterCard, PayPal, Neteller, Skrill Moneybookers, Wire Transfer, Visa, iDebit, and Visa Electron. Cash deposits and withdrawals take anywhere between 2 to 7 days when made using wire transfers and credit and debit cards. The transactions take less than 24 hours when done through eWallet. Cheques take up to 21 days to clear. Transactions with the casino can be done using the following currencies; USD, EUR, NZD, NOK, SEK, CHF, CAD, AUD, and DKK. Casino Ruby Fortune has one of the best customer support systems in place. The website has a live chat option, an email, and toll-free telephone contact through which you can reach the customer support personnel. The services are available 24 hours, 7 days a week. The personnel reply to your queries as soon as they are able to which is usually under 24 hours. Ruby Fortune casino is one of the best gambling sites available. The establishment has managed to withstand the test of time and remained relevant over a decade since its establishment. The casino is customer centered and easy to maneuver which makes it attractive to both beginner and pro punters. The great colors and graphics of the casino also make it an easy choice. The casino has gone all in with the bonuses and the loyalty program. They, however, have quite high wagering requirements making it difficult for players to fully enjoy the bonuses on offer. The loyalty program is also quite enticing especially with the benefits that come with the different tiers. The customer support system, which is usually the heart of a good casino has cemented the great name of products of this casino. While many casinos host games from multiple software providers which helps spice up the games while giving punters options that are different to enjoy, Ruby Fortune only hosts games from Microgaming. While this may feel like a disadvantage, it is not. Microgaming is known to develop some of the best games, and so players will not be bored playing almost similar games in concept. 0 responses to "Ruby Fortune Slot"